What’s Inside: Layers of buttery, flaky goodness topped with a crispy golden crust – these easy garlic knots are seriously addictive!! I’m not even sure I need to write an introduction here, because, well, garlic bread! It’s magical stuff – warm, buttery, with that rich bite of garlic to take everything to the next level. 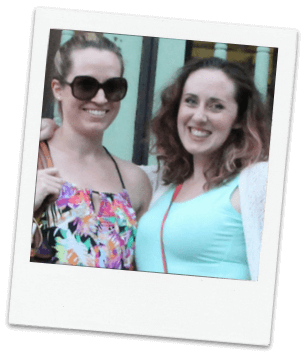 Growing up, my extended family had an Italian restaurant and I would immediately fill up on garlic bread every time we visited. I preferred the gooey middle pieces, handing over my un-eaten crust to my mom. Even almost thirty years later I can still taste it! 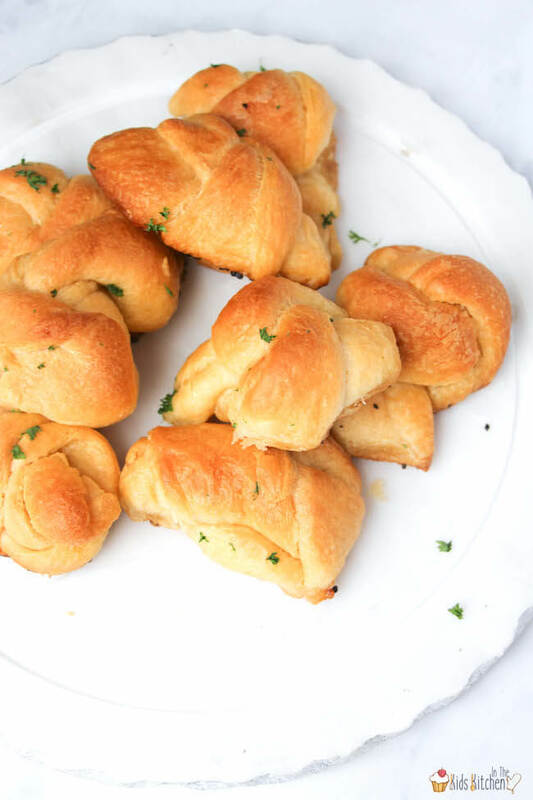 These baked garlic knots are an easy spin on traditional garlic bread – and if you love crisp, golden, garlicky crust then this recipe will be your jam! There are layers and layers of buttery, flakey goodness, topped with that perfect golden crust. 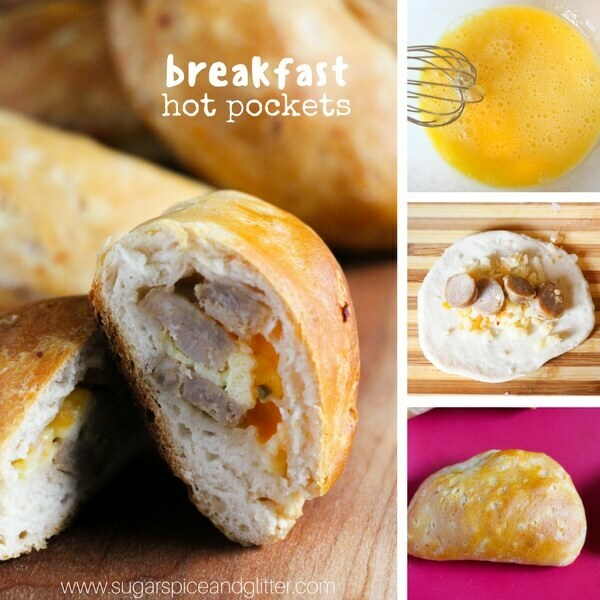 You might never go back to “regular” garlic bread after this! 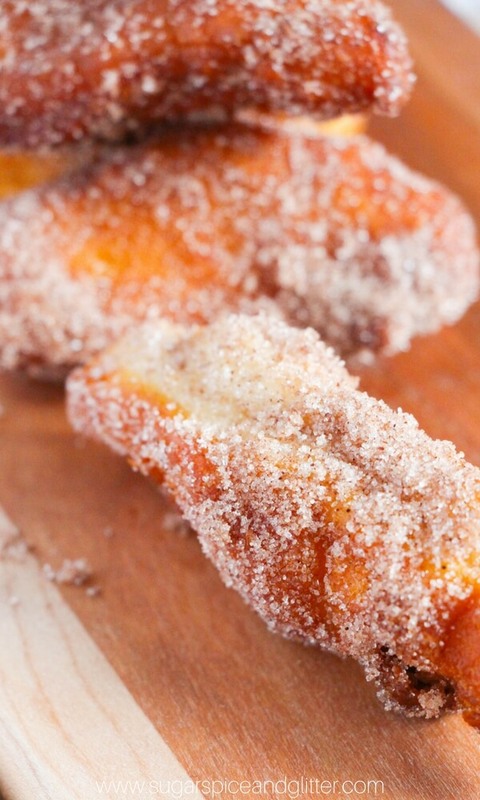 Related: Try a sweet twist on crescent rolls with our Cinnamon Braids recipe! 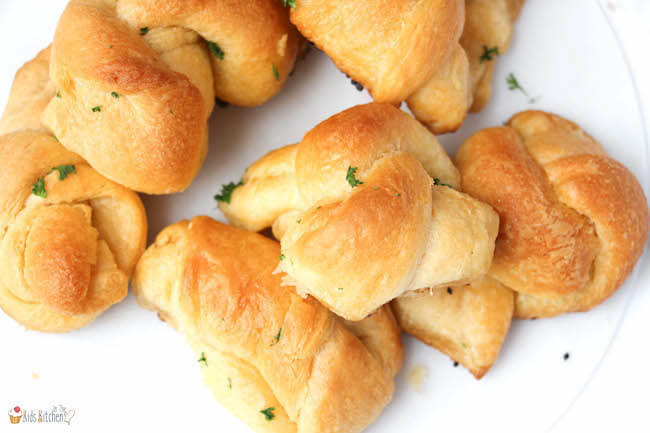 TIP: Keep reading for photo step-by-step instructions or scroll to the bottom of the posts for a free printable copy of this garlic knots recipe. 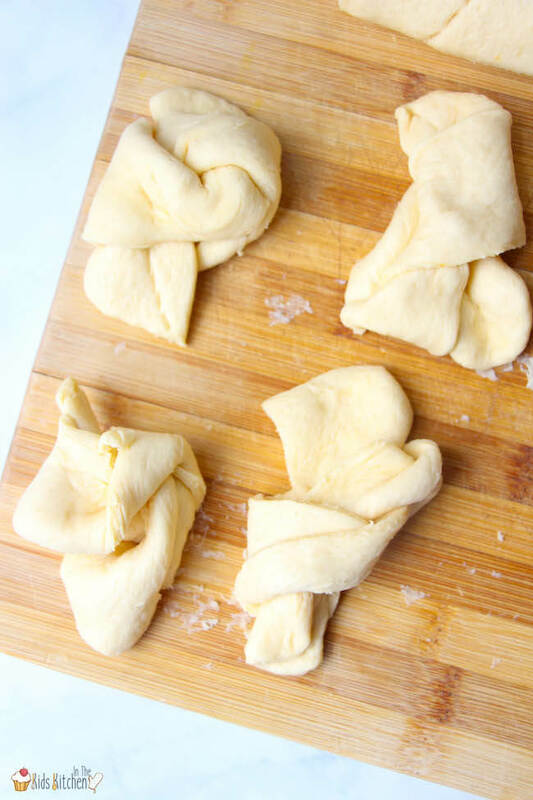 Cut the crescent rolls into strips and tie the dough in knots. TIP: Get the kids involved by letting them tie the knots! They’ll love it! Place 2 Tablespoons each of the butter and oil in a cast-iron skillet (or other oven-safe frying pan). Heat until the butter is melted, then add garlic to pan. Cook garlic until fragrant, then remove pan from heat. 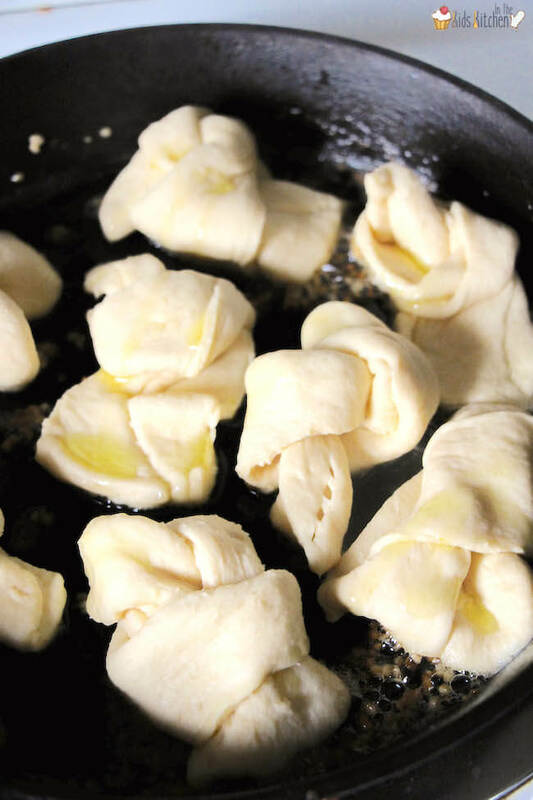 Place the bread knots in the skillet and spoon some of the garlic butter on top of each knot. Place the skillet in the oven and bake for 8-10 minutes. You’ll know they’re done when the garlic knots begin to turn a light golden brown. While garlic knots bake, melt the remaining 1 Tablespoon butter in a small saucepan with 1 Tablespoon oil and parsley. 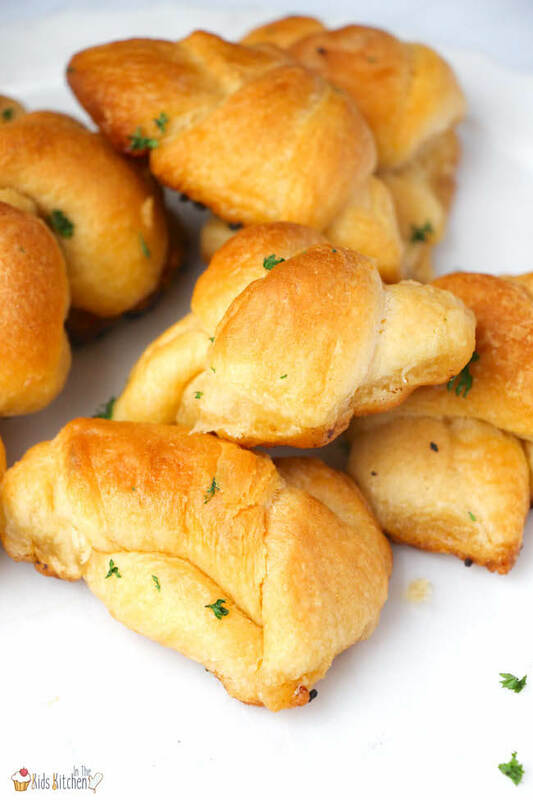 Layers of buttery, flaky goodness topped with a crispy golden crust - these easy garlic knots are seriously addictive!! 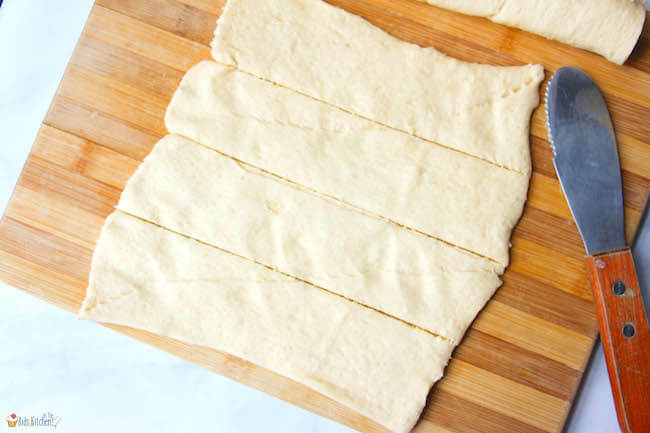 Cut crescent rolls into strips and tie the dough in knots. Place 2 Tablespoons each of butter and oil in a cast-iron skillet (or other oven-safe frying pan). Heat until the butter is melted, then add garlic to pan. Cook garlic until fragrant, then remove pan from heat. Place the skillet in the oven and bake for 8-10 minutes. You'll know they're done when the garlic knots begin to turn a light golden brown. When you remove the skillet from the oven, immediately pour the butter & parsley mixture over the hot garlic knots.